Hello everyone! First off, I have an exclusive SALES alert for you today! Spend $50 or more in my store and get a free stamp pad with your purchase! This exclusive special will be valid through November 21st. To see my other Black Friday sales, click HERE! Today, I have a Holiday gift idea for you. I found this cash/check gift holder over in the Silhouette store. I thought it was so cute idea. My mom typically gives cash to some of her nieces and nephews and how cute would it be to receive it this gift box rather than in a card. The box is big enough that you can fit in a candy bar too! Hi Candice:)Lovely gift card holder! These are always needed specially during the Holidays!! TFS and have a fantastic day!! What a great idea and project. I especially like the tag. It caught my eye on MIM. Thanks, for sharing. It's a wonderfully festive idea. 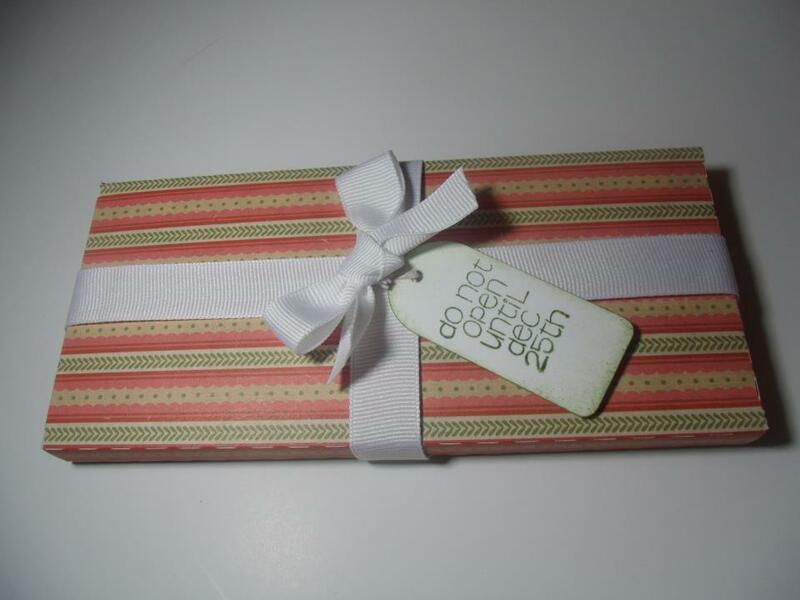 A terrific creative idea to give a gift of cash, but wrap it in a present box as well. Love the papers and bow very much! !